Remarkably, the choir has had only two conductors in the last eighty years. Jack Smith was appointed in 1937 and his son Frank in 1982. In 2017, Frank will complete 35 years service as conductor. He has had connections with KVU since he was three years old when his father, Jack, was appointed. 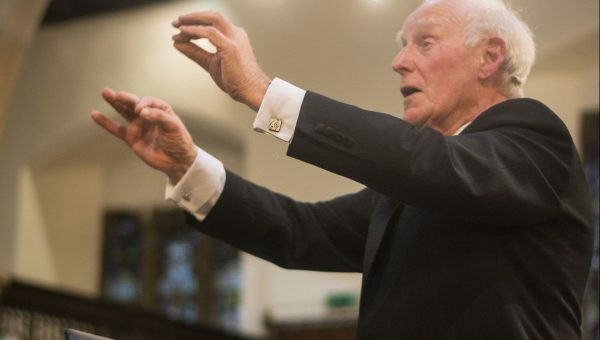 He began his conducting career with Steeton Methodist Church Choir at the age of 22 and conducted his first performance of Messiah when he was 23. He began singing with KVU in 1957 and the choir was delighted when he agreed to succeed his father. He had just taken his male voice choir, Nelson Arion, to the international festival at Llangollen and won first prize for the first time. Frank worked as a solicitor until his retirement and for many years juggled his time as duty solicitor and the associated anti-social hours, with conducting three successful choirs. 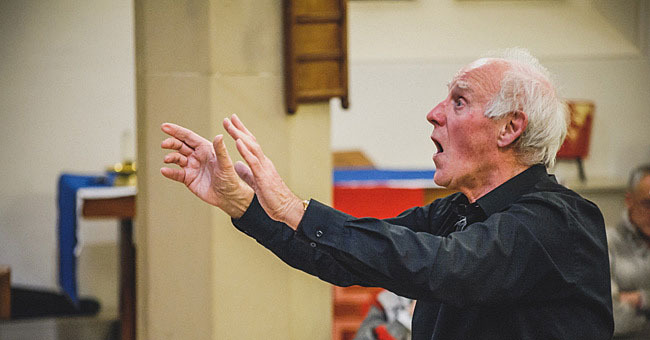 Frank is a talented musician and ambitious conductor and he has lead the choir successfully through numerous demanding works, often in collaboration with professional soloists, orchestras and other choirs, including Reading Phoenix, Saffron Walden, Nelson Arion and Colne Linden Singers. He continues to lead with relentless energy and enthusiasm, demanding high standards from all. Science is Catching Up with Art!